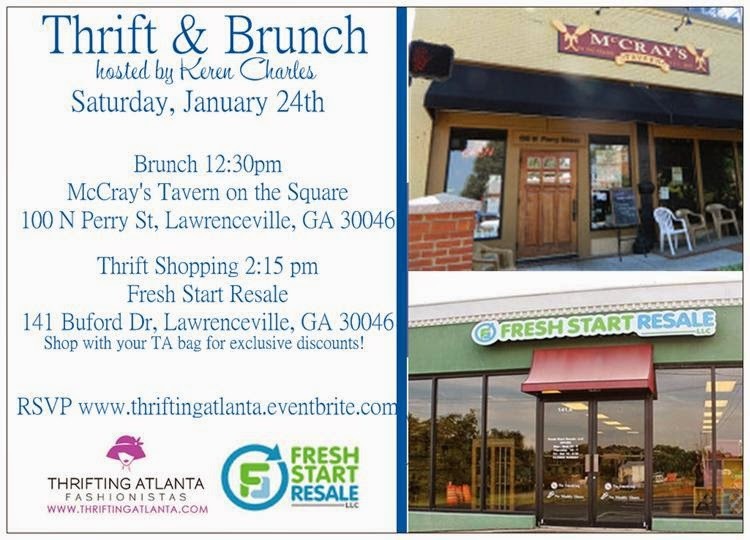 Join the Thrifting Atlanta fashionistas for their January Thrift & Brunch on Saturday, January 24th, 2014. We will meet for brunch 12:30 pm at McCray’s Tavern on the Square, 100 N Perry Street, Lawrenceville, GA 30046. Then go thrifting at Fresh Start Resale, 141 Buford Drive, Lawrenceville, GA 30046. Be sure to bring your Thrifting Atlanta tote bag for exclusive discounts!